The UAE-based Thumbay Group will officially inaugurate Thumbay Medicity in Ajman in March, it was revealed today. A regional hub of futuristic medical education, state-of-the-art healthcare and cutting-edge research, Thumbay Medicity is one of the latest additions to the UAE’s healthcare sector, the first such project in the private sector. The Medicity will serve more than 20,000 people daily, with advanced facilities in education, healthcare, research, leisure, luxury, fitness, entertainment, etc., built with an investment of more than Dh1 billion ($272 million). Thumbay Medicity features the most modern technology and global expertise in teaching/training, healthcare delivery and research/innovation, attracting the best student and professional talent towards shaping the future of education, healthcare and research. • Gulf Medical University – the biggest private medical University in the region with six colleges and 25 accredited programmes. • Thumbay University Hospital – the biggest private academic hospital in the region. The hospital is a state-of-the-art 500-bed smart facility with quaternary care facilities. It is equipped with modern infrastructure, with over 120 clinics and features a special robotic pharmacy, a first of its kind in the region. • Thumbay Dental Hospital – the biggest academic dental hospital in the region. The hospital is attached to the College of Dentistry, GMU and has a built-up area of 37,000 sq ft and 60 dental chairs spread across three floors. An advanced ‘Dental Stem Cell Bank’ for harvesting/banking dental stem cells is planned at the hospital. • Thumbay Physical Therapy and Rehabilitation Hospital - the biggest state-of-the-art rehabilitation hospital in the country with 50 beds and a unique ‘Therapeutic Garden’: The hospital features advanced technology such as Zero-gravity Treadmill, wearable technologies, hydrotherapy pool, neuropsychology, advanced robotics, hi-performance training gym, driving simulation, full body cryotherapy chamber, applied virtual reality, speech therapy, etc. • Thumbay Research Institute for Precision Medicine – leading research in cancer biology and immunology. Collaborating internationally with France, Poland and Korea, the institute has three ongoing medical research programs: cancer Immunology and experimental oncology; tumor genetic instability and immunogenicity; and biomarkers and functional genomics. • Thumbay Labs – the largest network of CAP-accredited private diagnostic labs in the region with an international presence. Thumbay Medicity houses the central reference lab of Thumbay Labs, with state-of-the-art facilities for Neonatal Screening, Next Generation Sequencing and Genomics. • Thumbay Pharmacy – one of the fastest-growing retail pharmacy chains in the UAE with an international presence. 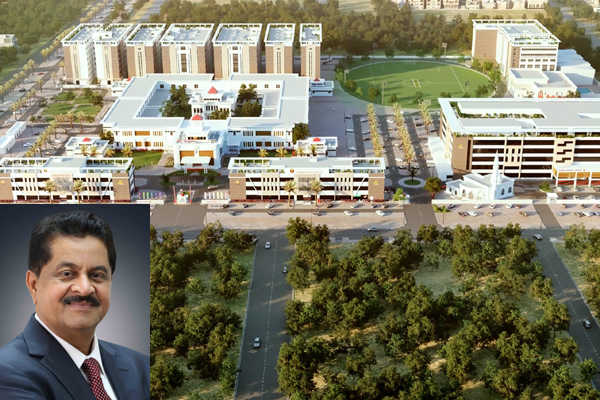 It also has leisure and hospitality amenities such as Body & Soul Health Club and Spa, Thumbay Food Court, The Terrace Restaurant, Blends & Brews Coffee Shoppe etc., as well as the Thumbay Housing Project to accommodate 2,500 staff and students. “Thumbay Medicity, with an investment of more than a billion UAE dirhams, is the result of our continued efforts to bring the best of healthcare to the region, making it a hub of world-class healthcare with state-of-the-art technology, experienced medical practitioners and superior facilities. As one of the most sophisticated medical cities in the region, Thumbay Medicity offers end-to-end tertiary and quaternary healthcare services to patients, with improved access by way of strategic location and affordability,” said Dr Thumbay Moideen, founder president of Thumbay Group. Thumbay Medicity will serve more than 20,000 daily, as it caters to the general public with a medical university campus, housing facilities for staff, faculty and students, as well as specialised hospitals. It has a total area of 1 million sq ft and built-up area of 1.2 million sq ft.